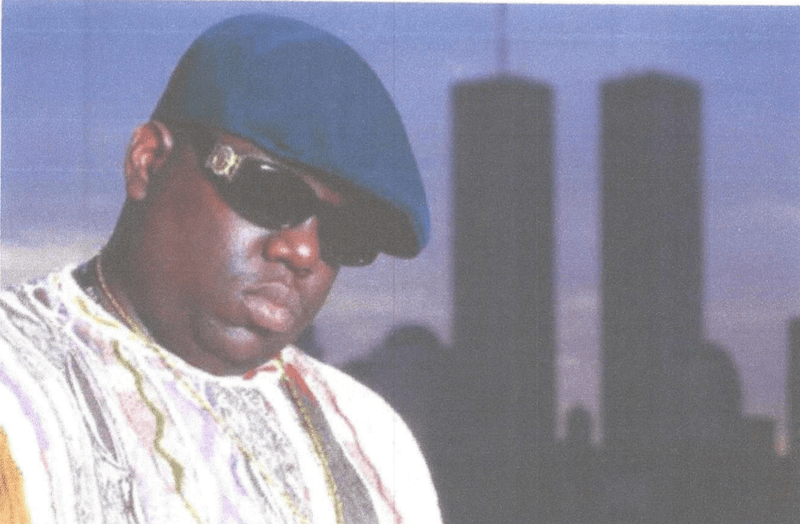 MANHATTAN, N.Y. (CN) – An attempt by the Brooklyn Nets to honor hometown rapper Notorious B.I.G. with multihued jerseys, similar to one of Biggie’s iconic sweaters, hasn’t gone over as planned. Last November the Nets had their players don jerseys featuring a “Brooklyn Camo” design that evokes the now-iconic multicolored Coogi-brand sweaters Biggie favored. The stunt was part of an attempt by the NBA to honor local artists — around the same time the Minnesota Timberwolves wore purple-fringed jerseys as a tip of the hat to the Mineappolis-born Prince. In New York, the Brooklyn Camo jerseys featured customized “BED-STUY” marks for each Nets player. Though hailed by fans and players alike — Nets guard Caris LeVert called the jerseys “very Brooklyn-esque” — clothier Coogi Partners now claims it is entitled to punitive damages for trademark infringement. In a federal complaint filed Wednesday in Manhattan, Coogie says Brooklyn Camo is nearly identical to two of its copyrighted confetti-like designs, the aptly named Pea Soup and Ricotta. 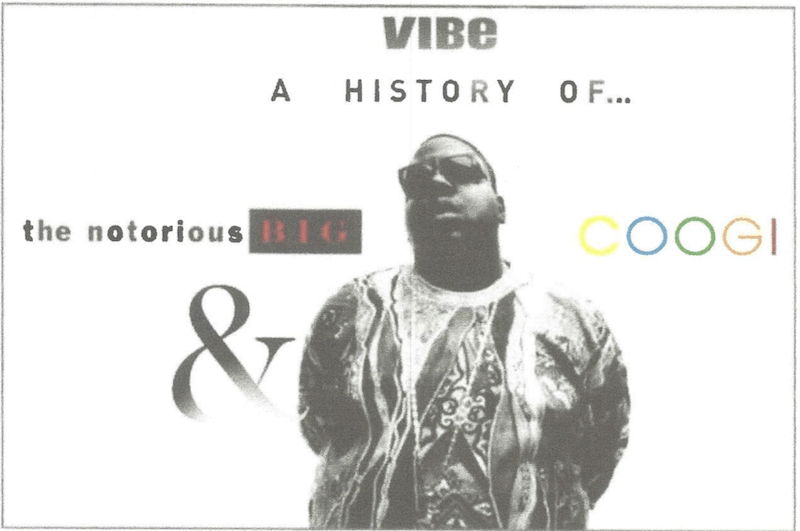 The lawsuit includes five pages of court exhibits where attorneys William Cox and Howard Burns included several photographs of Biggie wearing Coogie apparel, including one where the late rapper is thumbing through a wad of $50 bills. 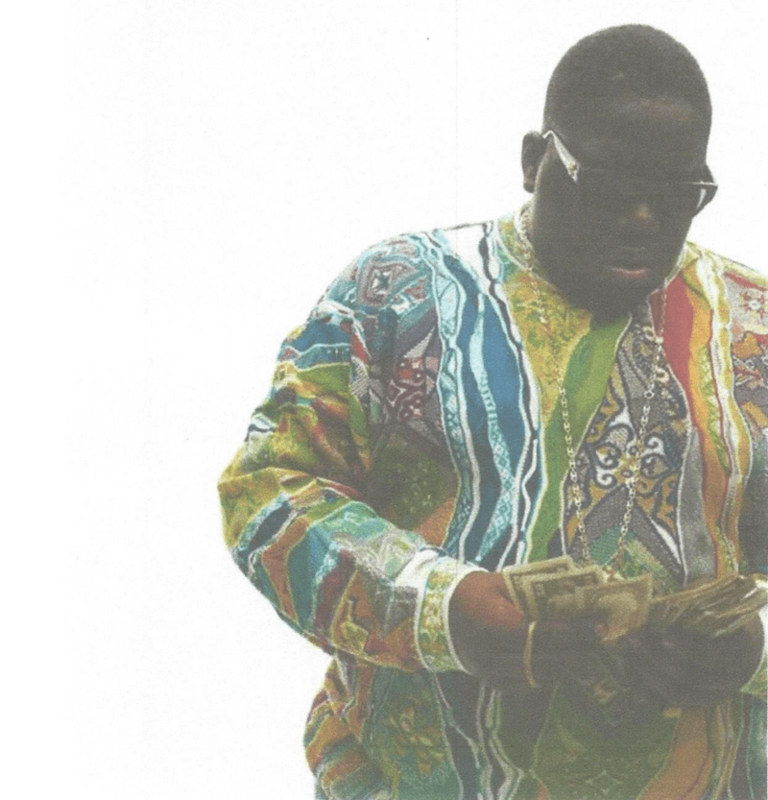 The connection between Biggie and Coogi is well-documented, the company claims, pointing to a 2013 Vibe article on the same. “While other colorful and ornamental sweaters have and continue to exist, the highly distinctive and ornamental designs of COOGI sweaters and apparel have become exceedingly famous and have achieved secondary meaning,” the complaint states. 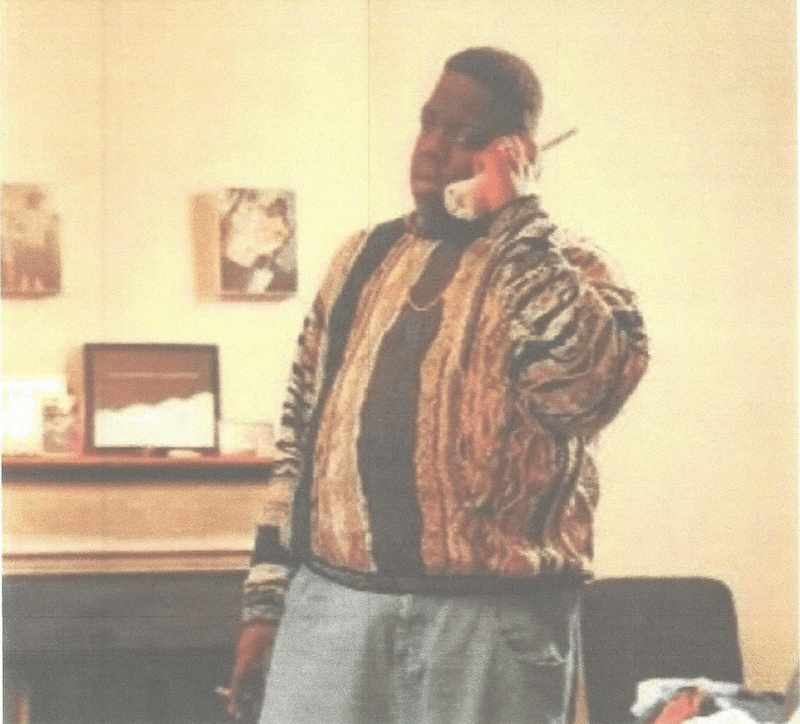 Biggie Smalls, who was born Christopher Wallace and grew up in Brooklyn’s Clinton Hill neighborhood, was considered one of the leading figures in East Coast hip-hop in the 1990s and is still revered today. He was shot dead in California in 1997 by an unknown assailant. While Biggie helped expose the Coogi brand, other celebrities have since donned the distinctive wear, including fighter Floyd Mayweather and Snoop Dogg, the company claims. The company states in its suit it has sold at least $1 million in Coogi sweaters annually since 2012. “The Coogi trade dress is both distinctive and famous, has achieved secondary meaning and is recognized as emanating from Coogi alone,” the complaint states. Representatives for Nike and the Brooklyn Nets declined to comment on the suit. A spokesperson the NBA did not immediately respond to an email seeking comment.